Little Albert is just a week away from turning 11 months old and I genuinely cannot believe how much he's grown and changed in that time. 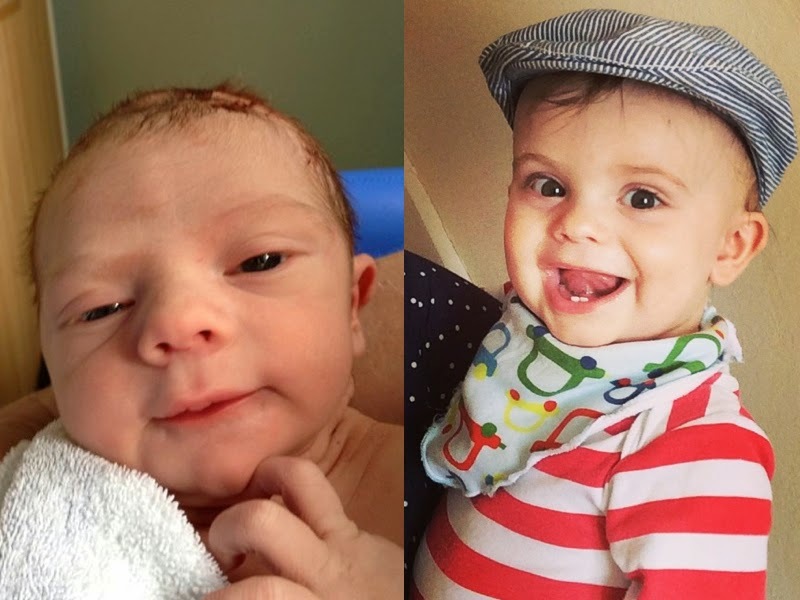 He's gone from our tiny little munchkin to a very handsome grown up little man. He is genuinely the happiest little person I've ever met, and I know I'm biased, but he truly is (nearly) always smiling. Bert develops new tricks every day - he likes to keep his mummy on her toes!! He has always been very inquisitive, and in a hurry to do things - he rolled over early, crawled when we least expected it, and started pulling himself up and cruising around the furniture in a flash! We had to Bert-proof our downstairs as quickly as we could (think baby gates, corner guards, fire guards, rearranging furniture, boxing up breakables) and just embraced our little monsters eagerness to get around on his own two feet. When the lovely people at NUK offered to send us a wooden walker from BoiKido for Bert to try we jumped at the chance to try it out - we hadn't gotten round to purchasing any walker-style toy for Bert yet and we knew how much he would enjoy being able to explore our living room on his feet. We also hoped it would help him develop his balance and further his walking skills. When it arrived my husband put it together and said it was very easy to assemble (it took him less than 10 minutes). 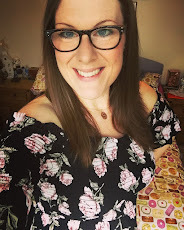 My first impression (as hubby was putting it together) was firstly what beautiful bright colours it was, but also how good quality it seemed - nice chunky pieces of wood produced to a really high standard. Bert was instantly interested in it, and had started trying to get to it and touch it before it was even fully assembled. When it was built we filled it with his favourite books and toys, and then watched Bert as he worked out what to do with it. He worked it out within seconds, and before we knew it he was RUNNING at speed across the living room carpet! He of course, tripped over himself and looked a little perplexed, but after a few minutes of practising and a little guidance from us he began to work out how to control his speed. Watching the grin on his face when he realised he was walking without holding on to us (albeit being held up by a walker) was priceless! 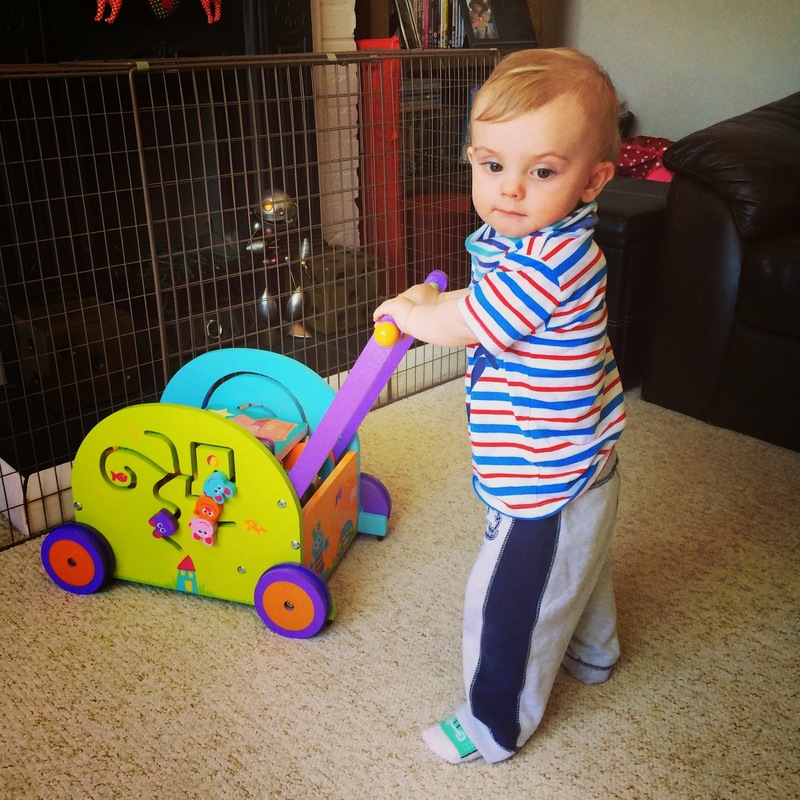 my beautiful munchkin on his first attempt with his lovely new walker - oops mind that fire guard Bert! Since we received the walker (around 6 weeks ago) Bert has been playing with it non stop - he loves nothing better than showing off his new skills to any visitor who happens to drop by, and he giggles as soon as he picks up speed - it is very cute! He also very much enjoys loading and unloading the storage part of the walker with all of his books (books are his big thing at the moment). When he isn't careering around at speed you can usually find him engrossed in the side panels where there are maze-style puzzles which you can slide the little wooden characters around in. This toy keeps him entertained in so many more ways than I originally anticipated. 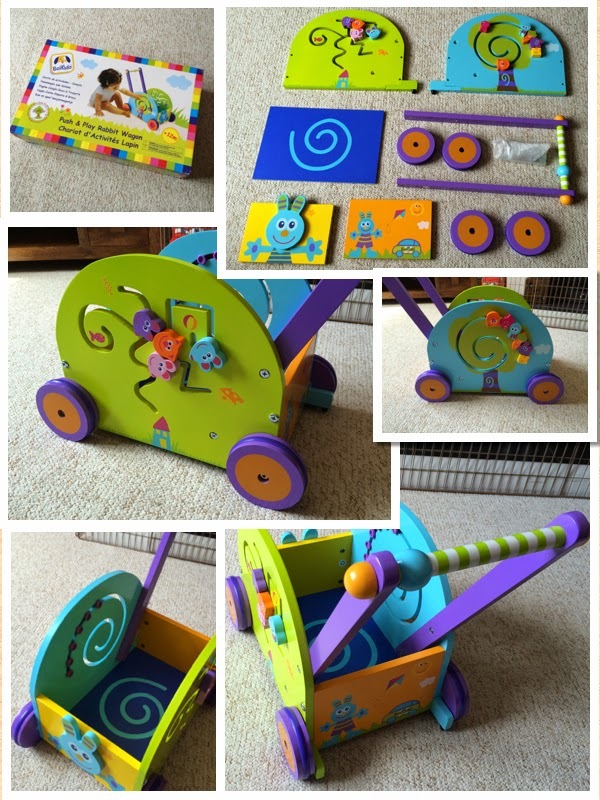 What I love most about this walker is the quality of the product - from the strength of the wood to the beautiful details and paint job it is worth every penny of the £59.99 price tag! I have a real thing about wooden toys and always much prefer them to their plastic contemporaries. I also think they last longer - as when wooden toys age they just look cooler - but with plastic it will usually just break over time. Without meaning to sound too irritating - I would call this toy an 'investment piece' as it could easily be passed on to brothers/sisters/friends/family for years to come. 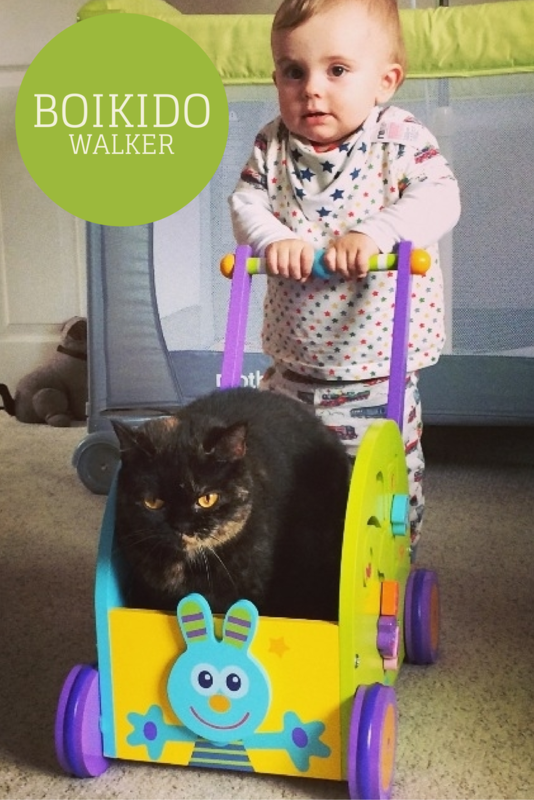 In true Bert-style he absolutely floored us with hysterics last week when we walked into the living room to find him pushing our cat, Pickle, around in the walker! There's a use for it I imagine BoiKido didn't really intend...a mode of cat transportation! It was just so funny - he pushed her around and around the living room for about ten minutes, and our silly cat just sat there - I think she quite enjoyed it. Bert thought it was just brilliant, and I'm sure he couldn't believe his luck when she jumped in it. Needless to say she hasn't been in a hurry to jump back inside. Of course, Bert had to have a go at riding around inside it too - I think he loved it more than the cat! When my husband was pushing him around the living room in it I had flashbacks of my grandad giving me wheelbarrow rides around his garden in the summer - such happy memories! 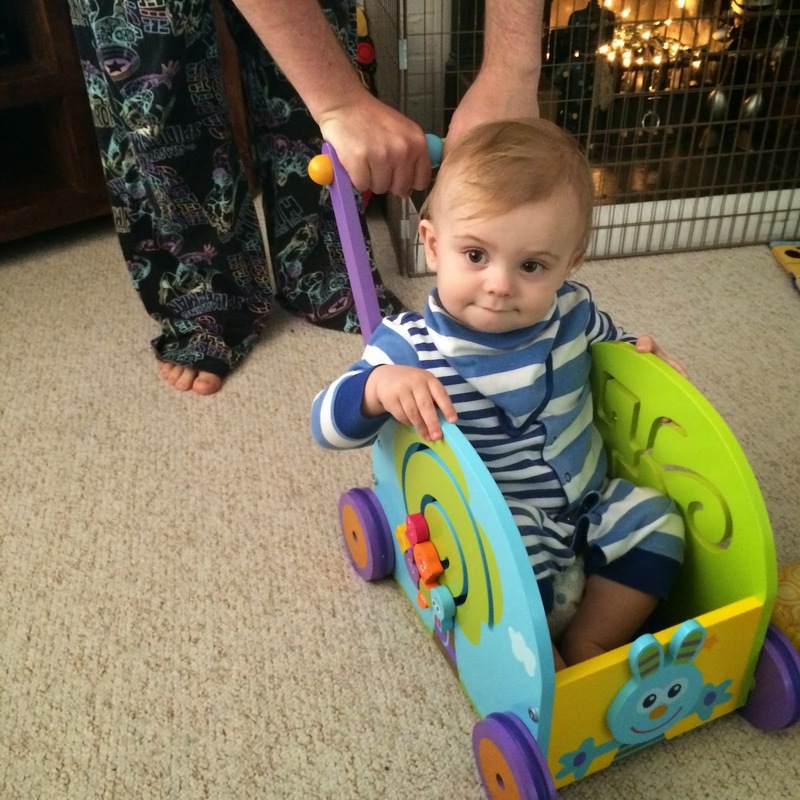 Bert's skills are definitely improving thanks to the rabbit wagon, and the next step on his road to walking unaided is to get him measured for his first pair of cruising shoes - these should help him balance better and ensure he feels a little more sturdy on his feet. 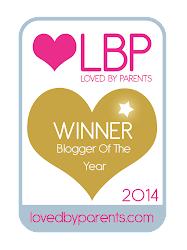 Did your little one use a walker product to help them develop their walking skills? Are you a wooden or plastic toy lover? Disclaimer: We were sent the BoiKido Push and Play Rabbit Wagon for the purpose of this review. All words, opinions, images and videos are my own.